“Our mission is to provide high quality childcare to at-risk children in a nurturing environment while empowering families to reach their potential. This quote can be found on the website for the Fannie Battle Day Home. It is a noble mission statement. The question remains: Who was Fannie Battle? ‘Fannie,’ whose full name is Mary Francis Battle, was born on a plantation in the Cane Ridge area in 1842. She was the daughter of Joel Allen and Adeline Sanders Mosely Battle, and served as a Confederate spy during the Union occupation of Nashville in the American Civil War. Her whole family, including seven other siblings, were involved in the Confederate war effort because they had been prosperous prior to the war. Two of Fannie’s brothers died, and both she and her father were imprisoned for a time. 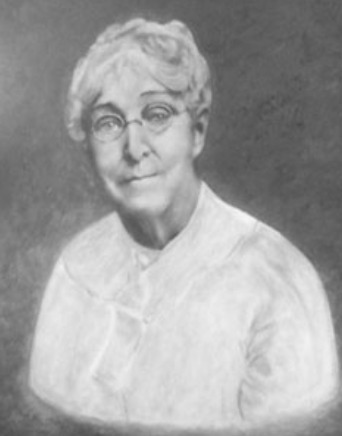 After the war, she returned to Nashville to teach at several schools from 1870 to 1886. This is where her humanitarian legacy began. She organized the Nashville Relief Society during the floods of winter 1881. Since many lost their homes in Nashville, Fannie provided shelter until they were able to get back on their feet. She would later do the same for those who lost their home due to the Great Fire of 1916. This set the foundation for her involvement as the Secretary of the United Charities, which began in 1885. Fannie Day established the Addison Avenue Day Home in 1891. Her idea to create a Day Home was influenced by the story of a boy and his single mother. The young boy had been hit by an ice wagon while unsupervised. Fannie found this boy and brought him to a hospital. Upon learning of the mother’s story, she provided a rented a room where the working mother could leave her child safely during the day. This began the legacy of the day home, where parents could leave their children during their work hours. The name of the day home remained as Addison Avenue Day Home until 1924, when it was renamed to Fannie Battle Day Home following her passing. John Phillip Aguilar, “Fannie Battle Day Home,” Bygone Nashville, accessed April 25, 2019, https://bygone-nashville.mtsu.edu/items/show/46. Published on Dec 5, 2018. Last updated on Dec 6, 2018.